Last week I had the pleasure of being a guest on my local CBS “Virginia This Morning” show. 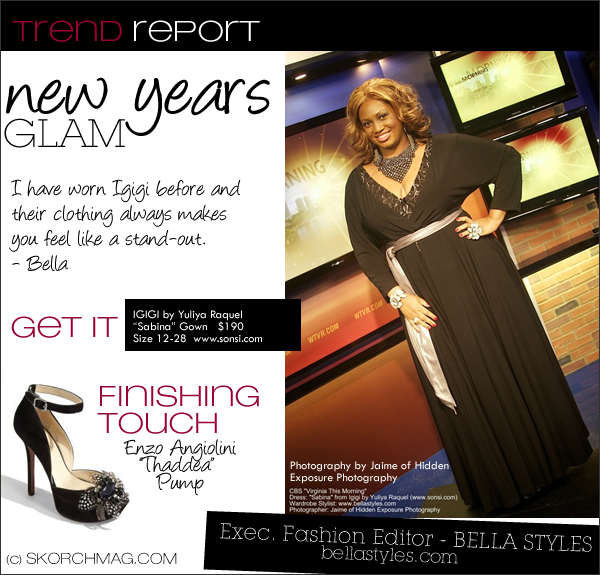 I did a segment on “New Year’s Eve Fashion”. I was honored to have Sonsi, the #1 website for plus-size shopping, sponsor my dress for the segment and I chose a gown from IGIGI by Yuliya Raquel. I have worn Igigi before for my Open House and their clothing always makes you feel like a stand-out. 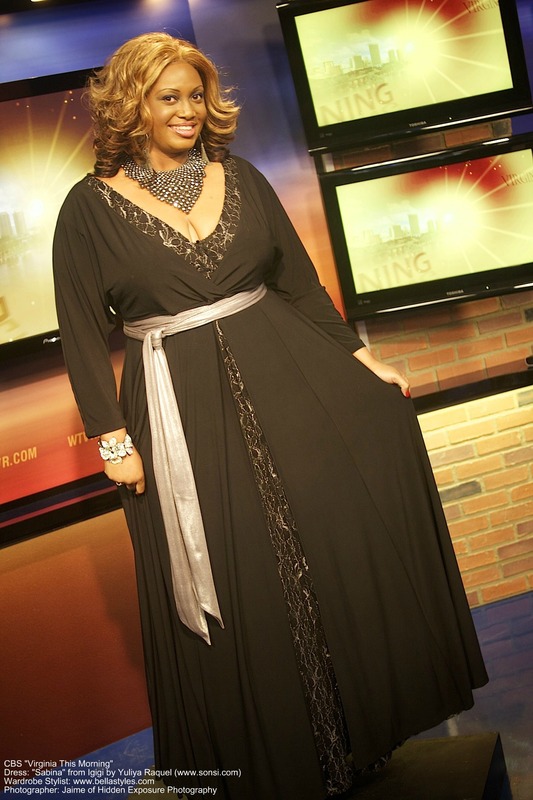 My gown is called the “Sabina” and was floor-length with a silverish lace insert underneath and at the neckline. I especially like the hint of cleavage that shows at the front of the gown. My dress came with a long silver sash that I accented with my silver and studded jewelry. Celebs from Gabby Sidibe, Nikky Blonksy, Kim Coles, KayCee Stroh, Frenchie Davis and Martha Wash have all worn the IGIGI brand to red-carpet events and other Hollywood galas. My shoes (although you can’t see them in the pic) were by Enzo Angiolini and completed the look to a tee. With this length of a gown you need a very high heel shoe. These are 5-inches but with the platform heel, I wasn’t in any discomfort wearing them at all.